Researchers at Columbia University Medical Center have published findings indicating that valproate, a mood stabilizer drug prescribed for bipolar disorder and schizophrenia, may decrease negative symptoms for people with a particular variant of the COMT gene. Valproate is commonly prescribed to treat bipolar disorder and schizophrenia, though its mechanism of action is poorly understood and only some patients respond to the treatment. Few options currently exist for treating the debilitating “negative” symptoms of severe psychiatric disorders, which include slowed movement, blunted affect, and social withdrawal. (Antipsychotic medications, on the other hand, are used to treat hallucinations, delusions, and other “positive” symptoms of schizophrenia). The researchers, who published their study “Evidence That COMT Genotype and Proline Interact on Negative-Symptom Outcomes in Schizophrenia and Bipolar Disorder” in Translational Psychiatry, conclude that valproate may be effective for treating negative symptoms in psychiatric patients with two copies of the “Val” variant of the COMT gene, which breaks down dopamine in the brain. In the roughly 40% of patients with this genotype, higher levels of proline, a neuromodulator that is increased by valproate, correlated with fewer negative symptoms. In patients who have a “Met” variant of COMT, rising levels of proline appeared to do the exact opposite: These patients had more or worse negative symptoms, and the symptoms did not improve with valproate. Previous studies have demonstrated an interaction between elevated blood levels of proline, a modulator of neurotransmitters that, in higher amounts, is associated with psychiatric illnesses including schizophrenia, and a gene called COMT, which makes an enzyme that helps maintain normal levels of neurotransmitters in the brain. One version of the enzyme contains the amino acid methionine (Met), while another type contains valine (Val). People may inherit one copy of each type (Val/Met) or two copies of the type (Val/Val or Met/Met). Additional studies have suggested that COMT Val/Val has greater enzymatic activity, increasing its ability to lower dopamine levels in the brain. 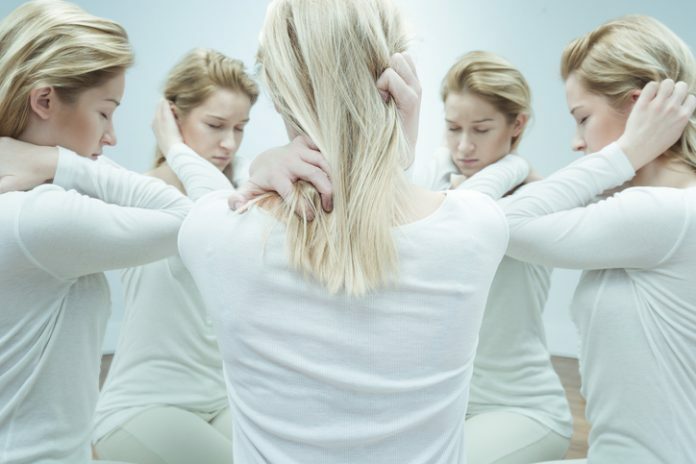 In this study, the researchers compared the severity of negative symptoms and proline levels in 95 hospitalized schizophrenia patients with variants of the COMT gene. In patients with COMT Val/Val, symptom severity decreased as proline levels rose. In contrast, higher proline levels were associated with greater negative symptom severity in patients with the Met/Met gene. Among those patients who were being treated with valproate (approximately one-third of the schizophrenia patients), negative symptoms were more severe in those with the Met/Met gene than in those with the Val/Val gene. The researchers also evaluated negative symptoms in 43 patients with bipolar disorder, about half of whom were treated with valproate. After 1 week of treatment, negative symptoms decreased for those with the Val/Val genotype, whereas symptoms increased or remained the same for those with the Met/Met genotype.